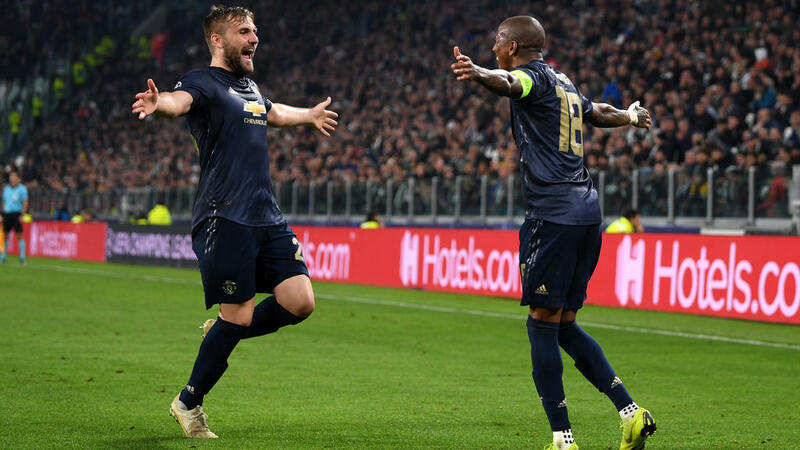 Evoking memories of their astonishing Champions League win in 1999, Manchester United breathed new life into a stuttering season by improbably turning around their match against Juventus in the final five minutes to win 2-1. Not since the Nou Camp final of 1999, on arguably the club's greatest-ever night, when the Red Devils scored twice in stoppage time against Bayern Munich to complete the treble, have United landed such a sucker punch on one of Europe's true heavyweights. Turin was also the setting for United heroics that year as Alex Ferguson's side came from 2-0 down to beat Juventus 3-2 in the second leg of the semi-final. "When Manchester United had heroics here, Manchester United was the best team," said Mourinho after Wednesday's win. "(It) is a different situation but it is a fantastic victory for us. It's not just about the points we lost at home, it's about the feeling of how well we played." Mourinho talked of defenders Giorgio Chiellini and Leonardo Bonucci giving classes at Harvard University on how to defend, while United's centre-back Chris Smalling admitted to being in awe of Juventus, the losing Champions League finalists last year. Cristiano Ronaldo's stunning first Champions League goal for the club had Juventus four minutes away from stretching their unbeaten start to the season to 15 games and booking their place in the last 16. However, for all of United's troubles so far this season, they do not lack fight, as Mourinho's men once again hauled themselves off the canvas to hit back in the final stages to take a huge step towards qualifying for the knockout phase. Having not made a single change at Old Trafford two weeks ago, Mourinho's substitutions made a big impact. Unsettled by the presence of Marouane Fellaini, Bonucci turned the ball into his own net for United's winner after Juan Mata's perfectly executed free-kick brought the visitors level. Only a 96th-minute equaliser for Chelsea prevented another come-from-behind win against Mourinho's former side, while United also won late on at Bournemouth at the weekend after what their manager described as a "chaotic" first-half performance. "I want the feeling of it doesn't matter where we go, we go to compete, and I think this is also a feeling that the Manchester United supporters around the world they want to have," said Mourinho. United's failure to finish above City in any of the five seasons since Ferguson's retirement has been symptomatic of their slide from being one of Europe's powerhouses to second best in their own city. "I think it's always good to be the outsider, so people expect bad of us and then we surprise people," said United midfielder Paul Pogba. Having partied like it's 1999, United need to dig deep again and show that in 2018 they can turn the tide against the blue half of City.